The Franklin Regional Council of Governments has contacted 20 communities, requesting that the town Select Boards appoint a representative to the Mohawk Trail Woodlands Partnership Advisory Committee to study the National Forest Designation. The deadline is July 25, 2014. There are 20 communities in the study area, 11 in Franklin County and 9 in Berkshire County. If you, or anyone you know, is interested in participating on the committee contact your selectmen. At the very least, be sure that a person from your community is appointed who understands the town’s positions and will best represent the constituents interests, including recreations, such as snowmobiling. 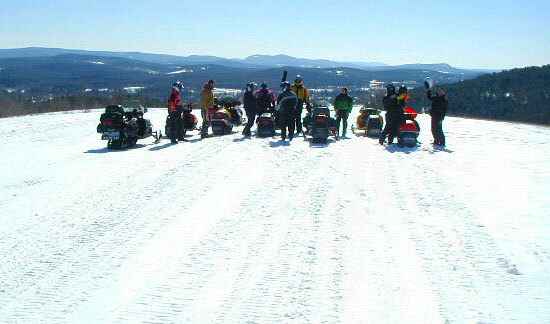 The Snowmobile Association of Massachusetts has been reporting on this project on a regular basis. Over the last 9 months, the Franklin Regional Council of Governments (FRCOG) and the Berkshire Regional Planning Commission (BRPC), with help from the Franklin Land Trust (FLT), have been conducting a public outreach process as part of the Mohawk Trail Woodlands Partnership project. Assist with the drafting of State legislation if enough towns would like to proceed with a Federal designation. The Advisory Committee will also assist in determining the level of interest in pursuing a Federal designation. We are asking each town in the 20-town region to appoint a representative who could be a municipal official, forest landowner, forestry or tourism business owner, forester, or other community member. In addition to the town representatives, one (1) member from the Franklin Regional Planning Board, one (1) member from the Berkshire Regional Planning Commission and one (1) representative from each of the following: two (2) forestry organizations, two (2) environmental organizations and two (2) land trusts working in Franklin and/or Berkshire County will be invited to participate. The Advisory Committee will meet 3-4 times over a 9-12 month period. We anticipate that the 1st meeting will be held on September 9, 2014 at a location to be determined in the 20-town region.